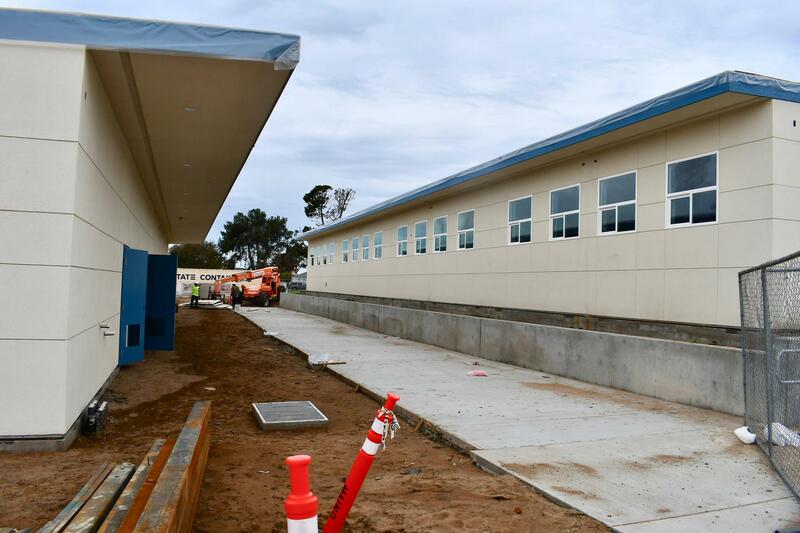 And at Grover Beach Elementary, the 9 new classrooms and restrooms are are nearing completion. 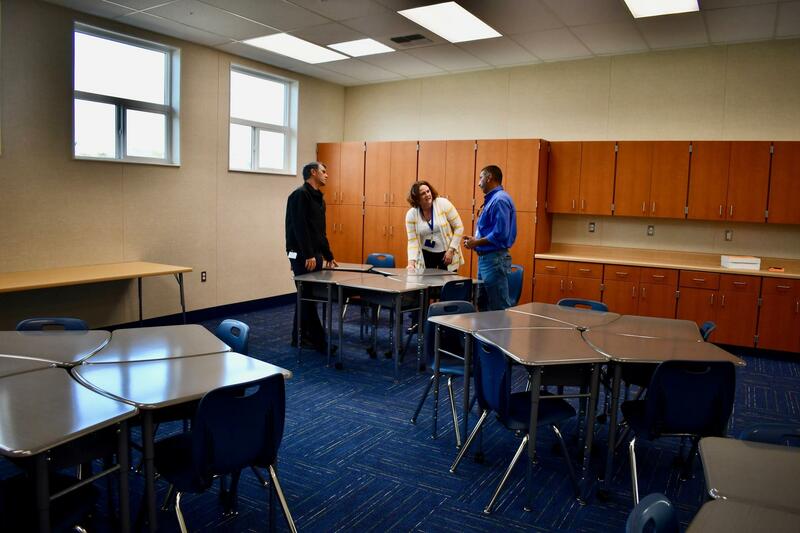 Everyone got a chance to check out what the new rooms will look like this week. 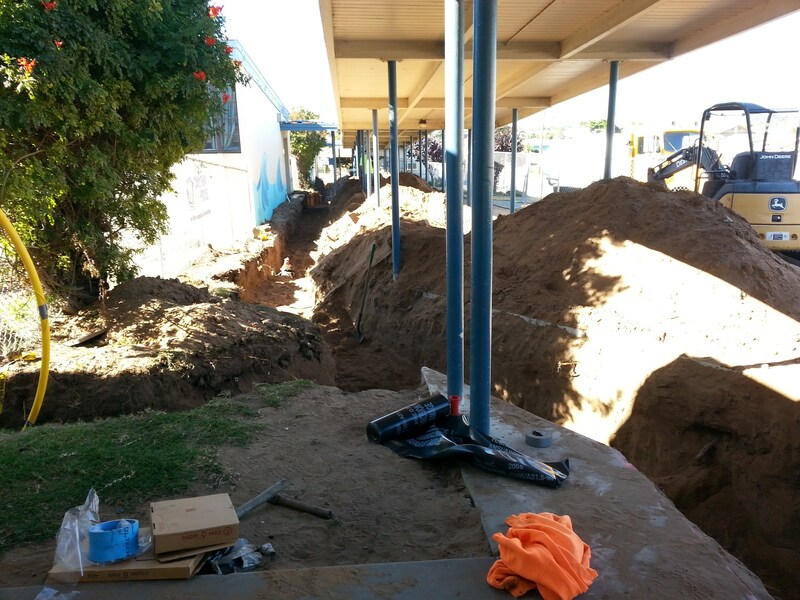 The goal is to have teachers in their new classrooms when we return from winter break. 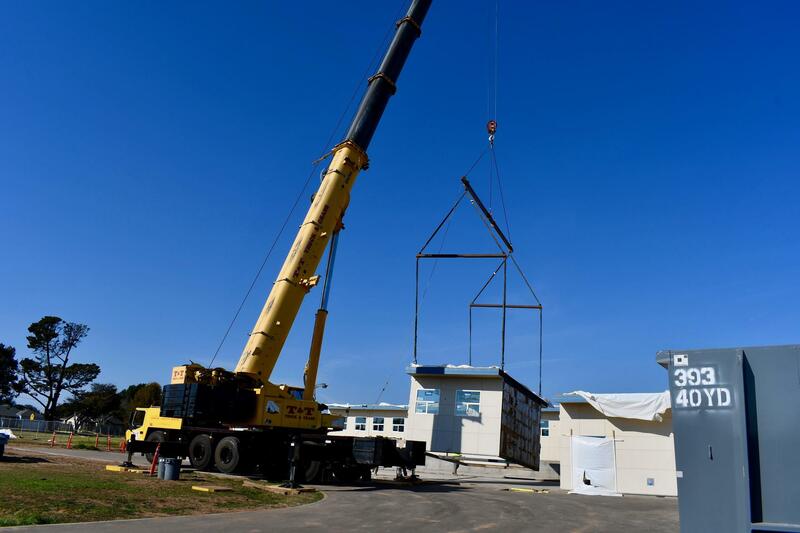 Harloe Elementary had new classrooms delivered and craned into place. 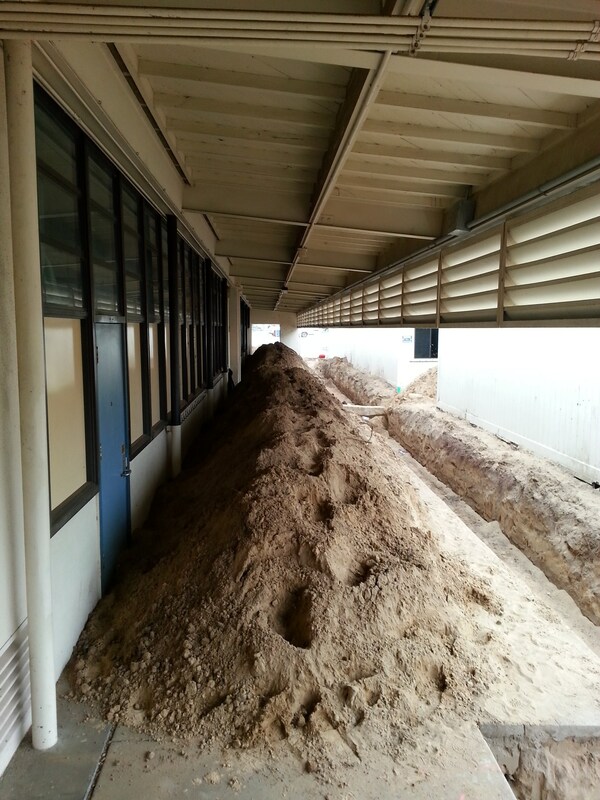 There are seven classrooms and a restroom. 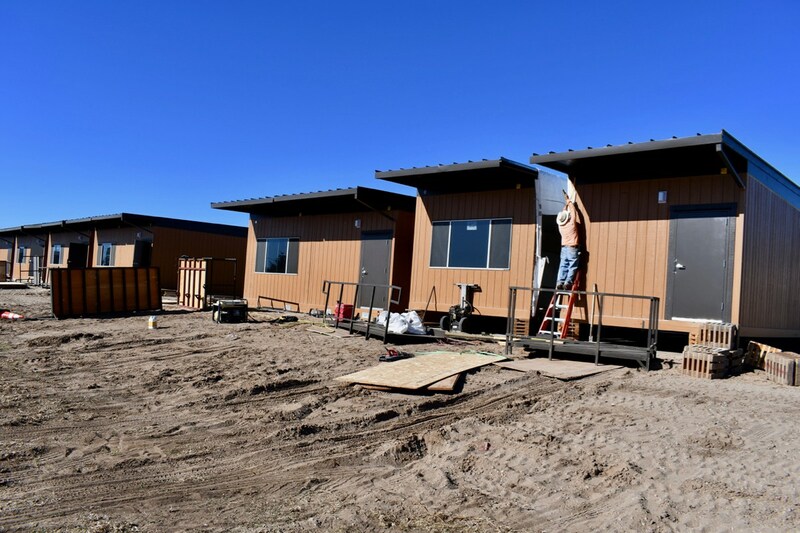 Now that the buildings are in place, workers hope to have them all finished and ready for use in the Spring. 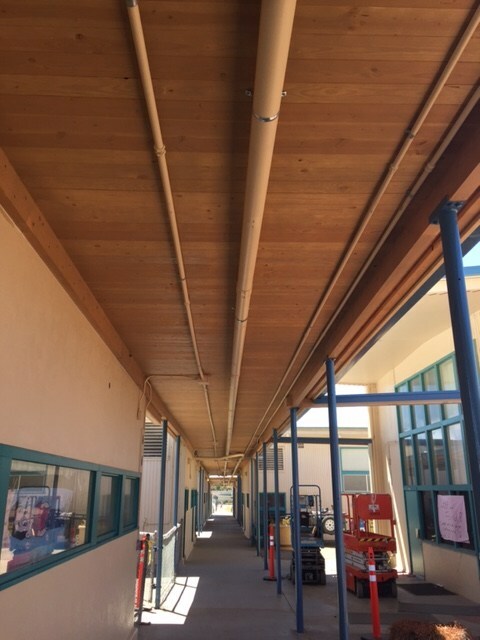 The new classrooms are all made possible by Measure I. 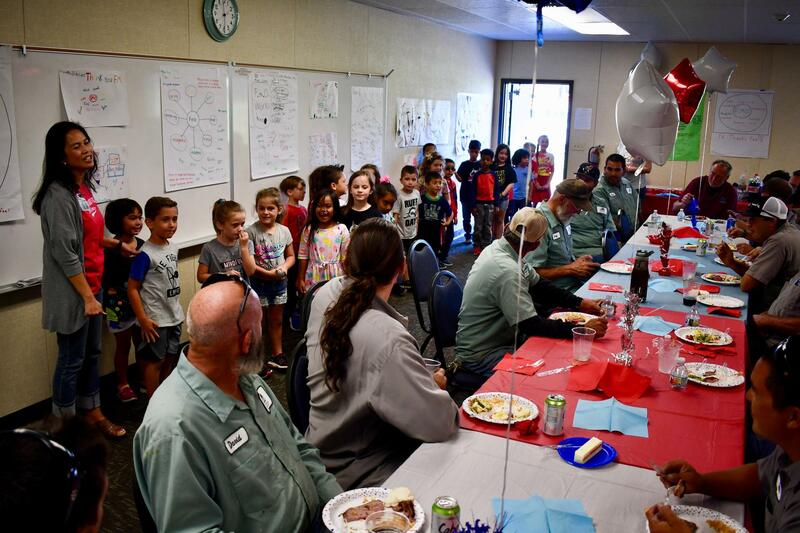 Recently Fairgrove Elementary held a lunch for the Facilities, Maintenance, and Operations team as a thank you for all of their hard work. The students created thinking maps, thank you notes, and they even stopped by in person to thank the staff. 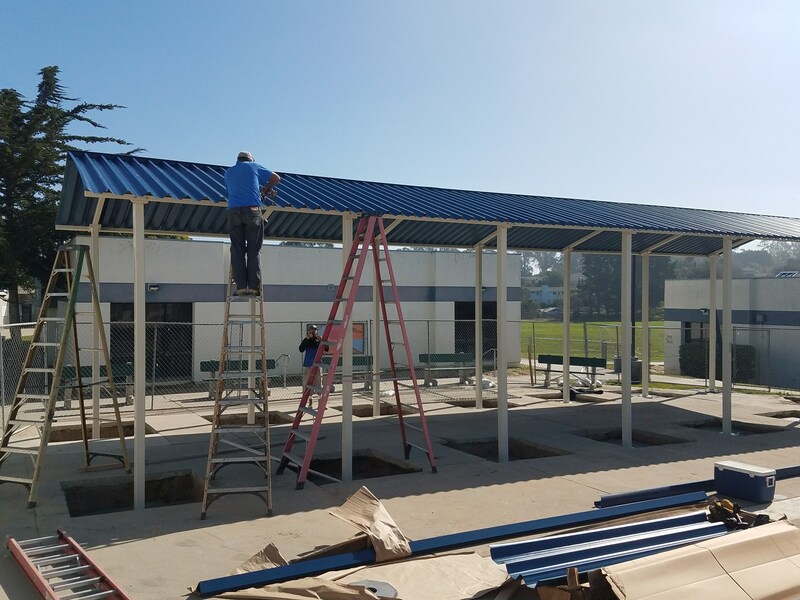 The school is loving their new outdoor learning center and the recent improvements to the school. 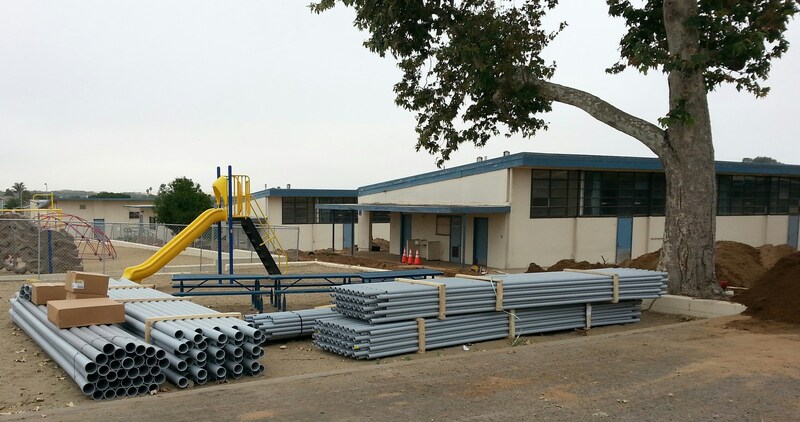 Meanwhile there have been some big changes at Grover Beach Elementary as the new modular classrooms move onto campus. 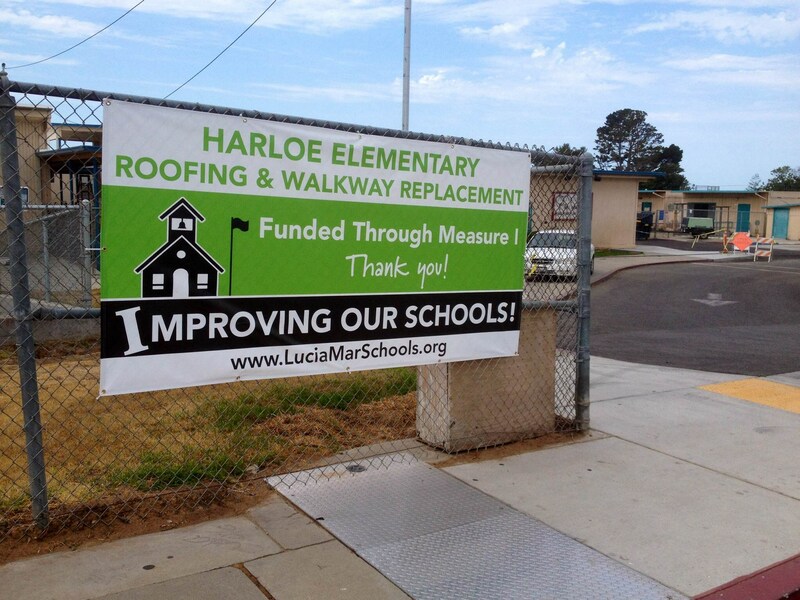 Exciting things are happening across the district. We thank the hard working FMO team for all of their dedication! 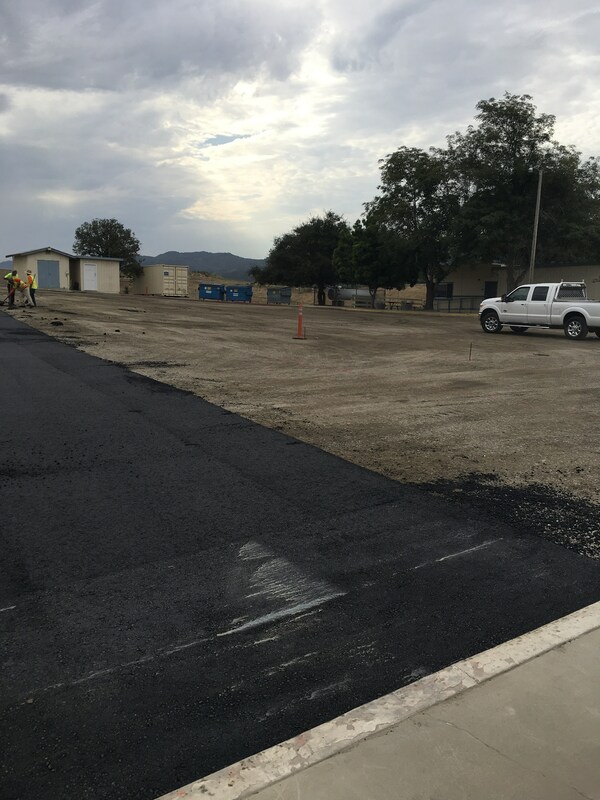 Nipomo High School's Agriculture Island Opens! 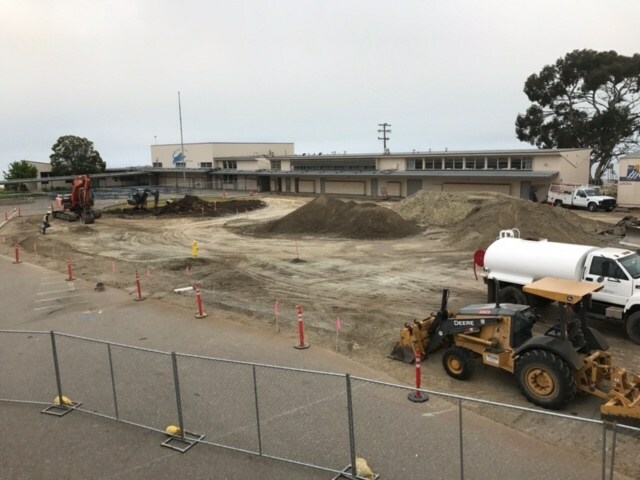 Watch the construction take place in the video below. 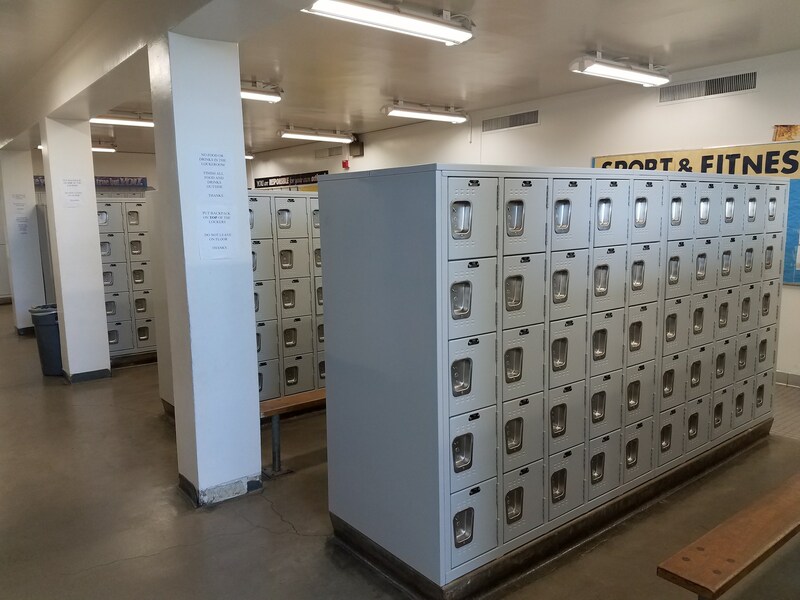 In addition to these site specific upgrades, all sites have recently benefited from the Network Redesign/WIFI project, and a new phone system is being planned for later in 2018. 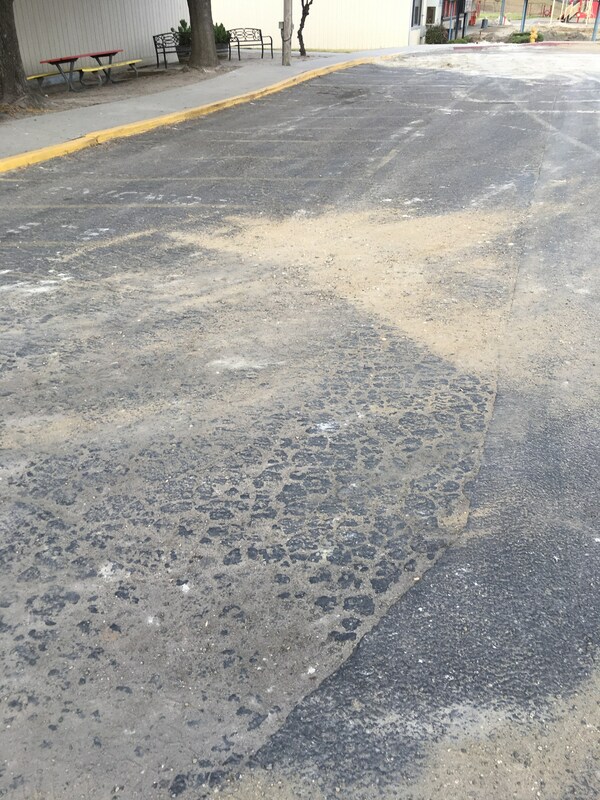 Additionally, multiple sites will be experiencing upgrades such as: ADA access improvements, rip and replacement of failing asphalt/concrete, new roofing, and significant underground utility/power upgrades. 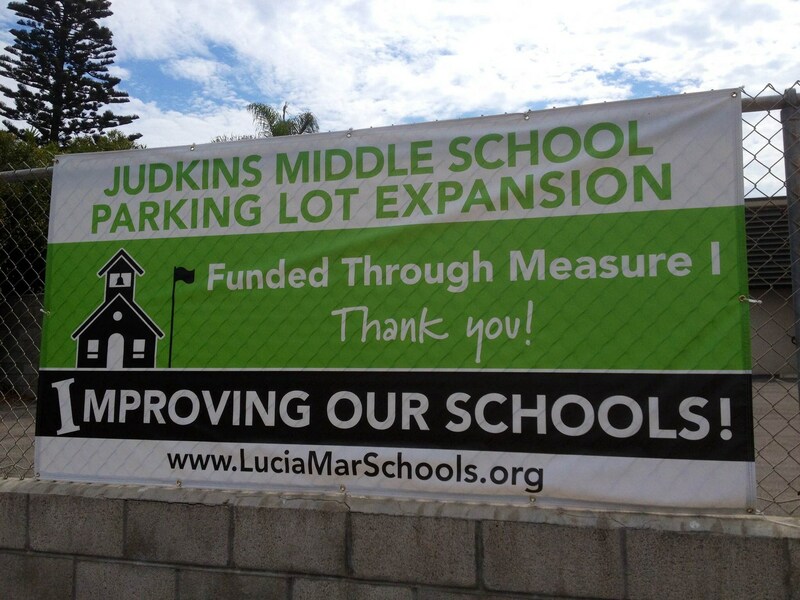 We are pleased to have accomplished significant upgrades quickly, and we look forward to a busy, rewarding 2018-2019 calendar year as we finish Series A projects and begin Series B work. 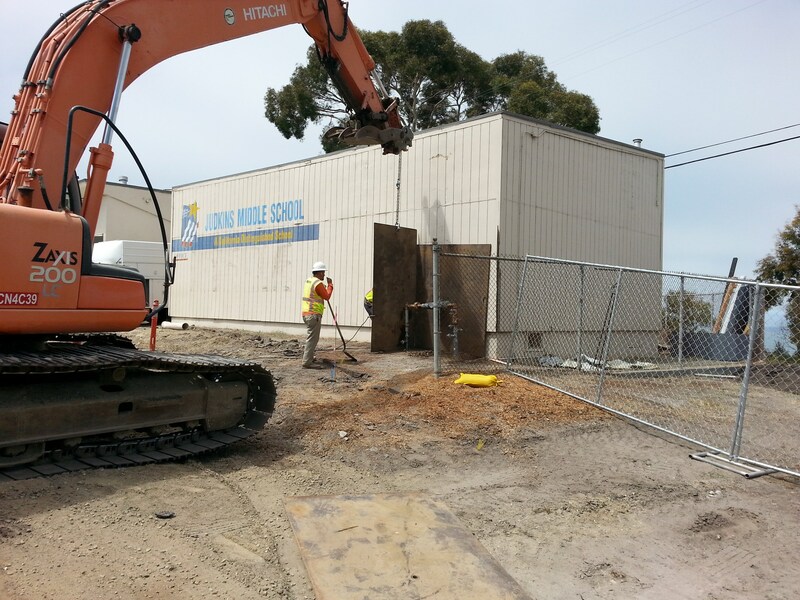 Nipomo High School hosted an official groundbreaking for their new career technical education buildings. 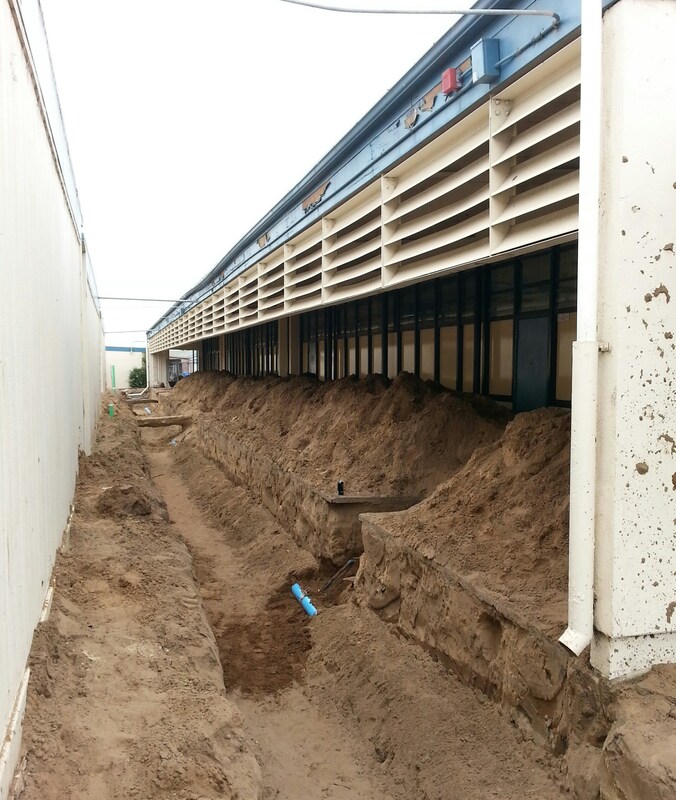 The construction project includes three new classrooms and a workshop for the ag classes. 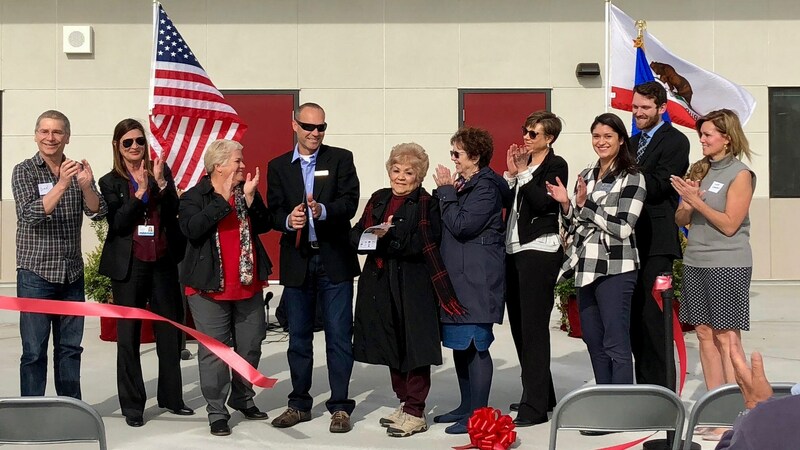 With shovels in hand, School Board Trustees Vicki Meagher, Chad Robertson and Dee Santos joined Superintendent Raynee Daley, Principal John Denno, FFA Chapter President Kyler Vernon and local dignitaries to launch the project. That is our own Dr. Daley behind the controls of an excavator. 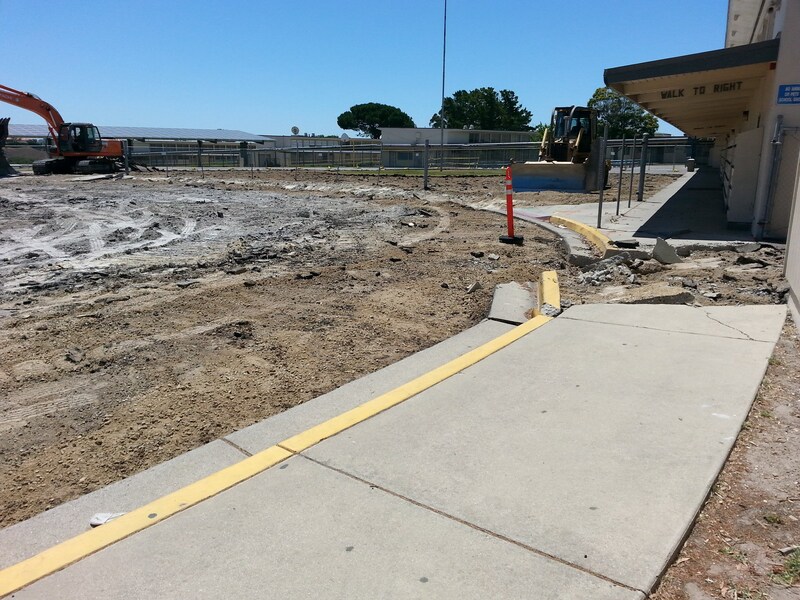 Construction is expected to be completed by early next year. 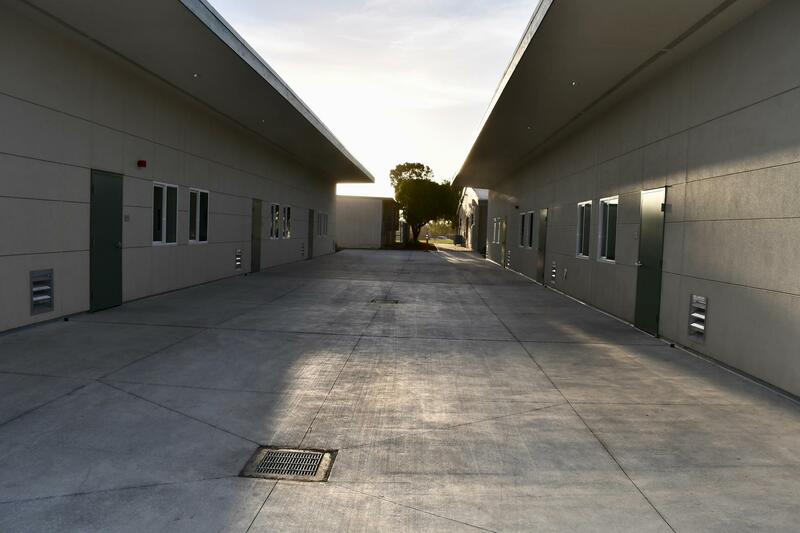 Both staff and students are excited about the new buildings and the opportunities that the new facilities will bring. 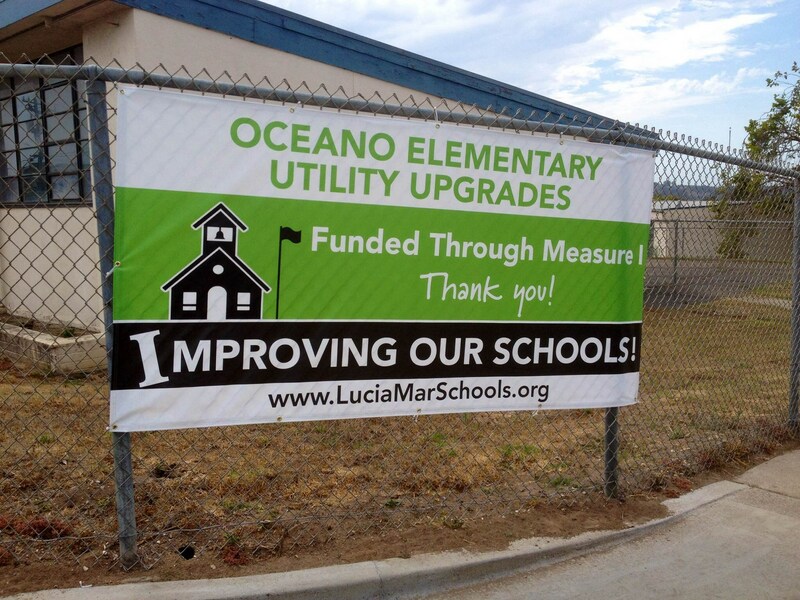 Lucia Mar made the decision to break the Measure I general obligation bond sale into four bond sales spaced roughly two years apart. 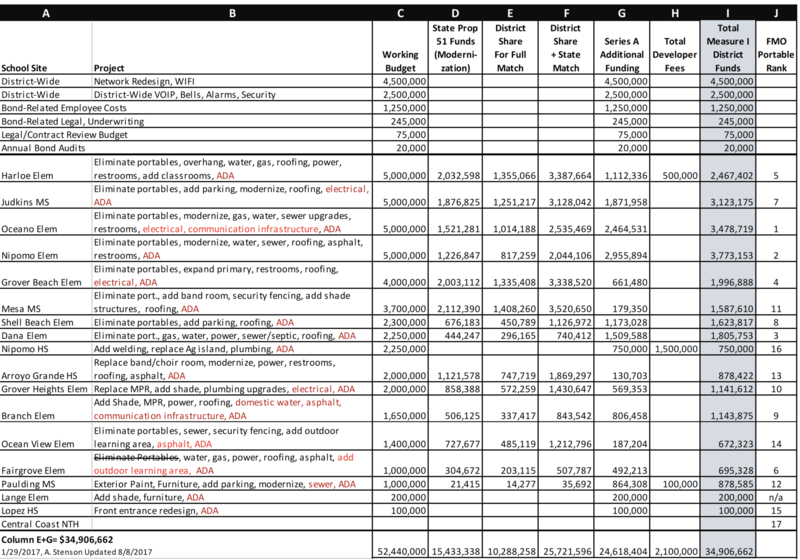 This will keep the tax rate in the $41 per $100,000 assessed valuation range for our local property owners. 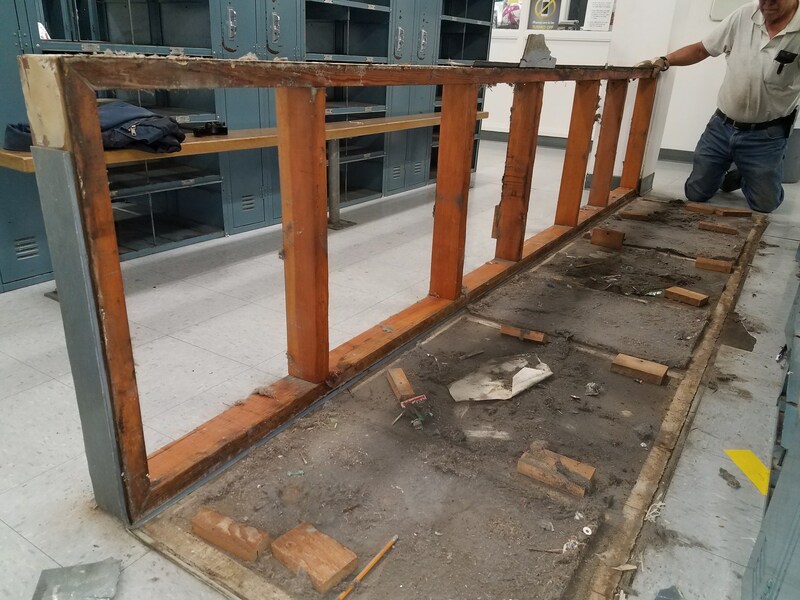 The first issuance of $35,000,000 is being put to work right now through a host of different projects district-wide, many of which are underground infrastructure upgrades. 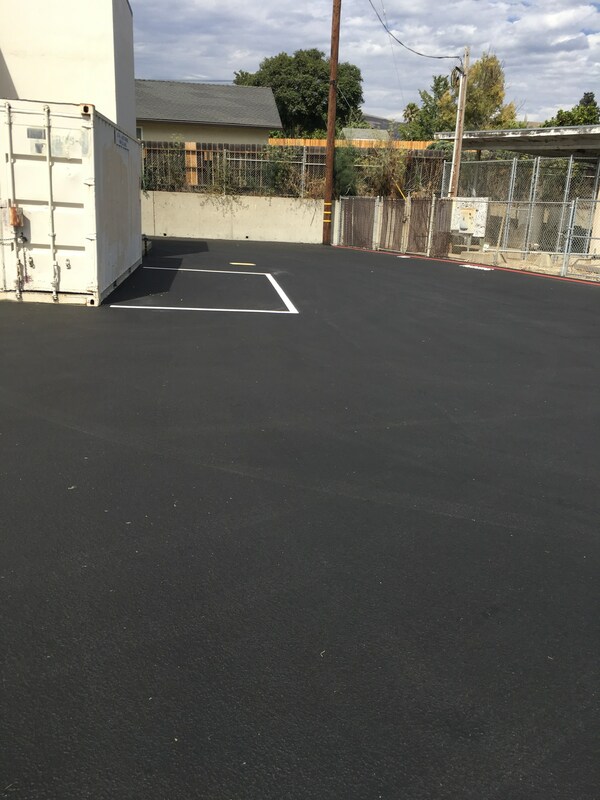 While we are all very eager to see upgrades sooner than later at our sites, our cash flow from bond sales requires that we roll-out our work over time. 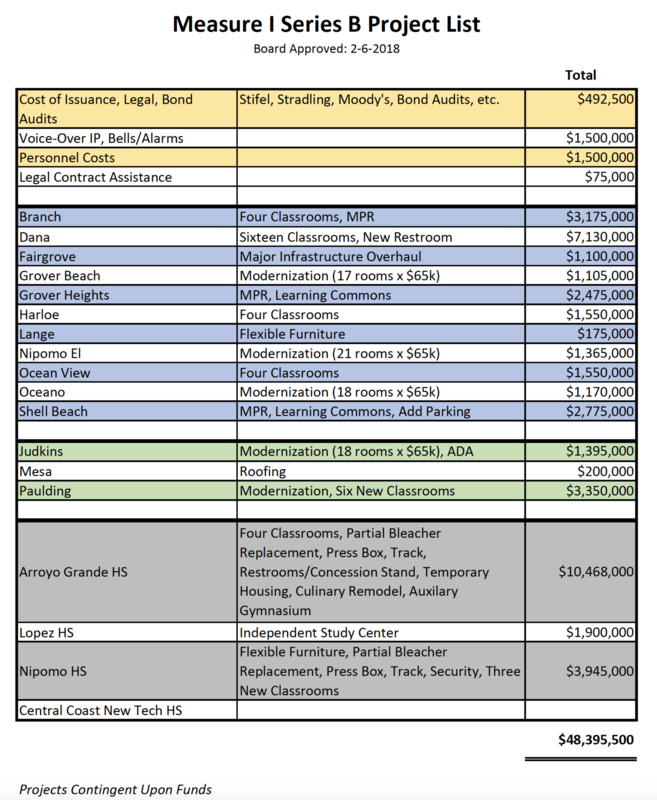 On our current trajectory, the final projects funded through Measure I will likely occur in the 2025-2026 school year. 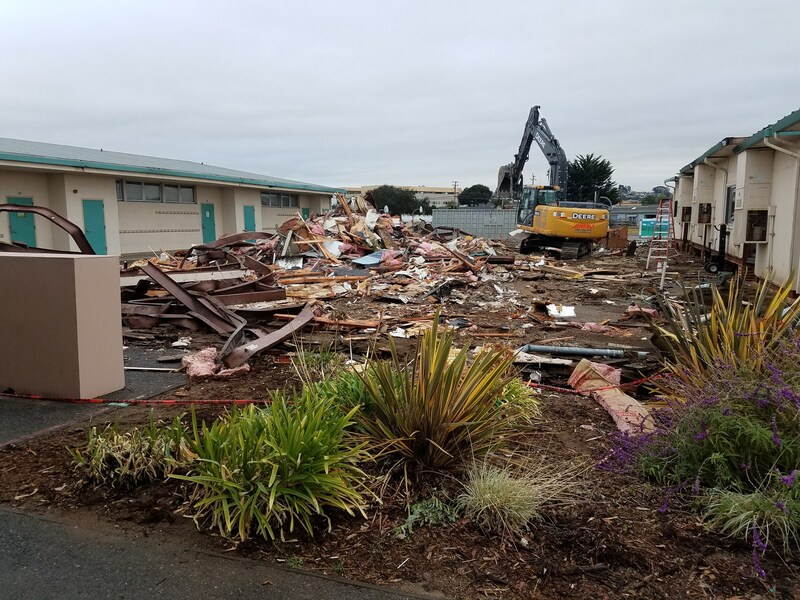 We are pleased to report that one of our oldest schools, Grover Beach Elementary (constructed in 1955) was the first site to see demolition of old portable classrooms over Winter Break. 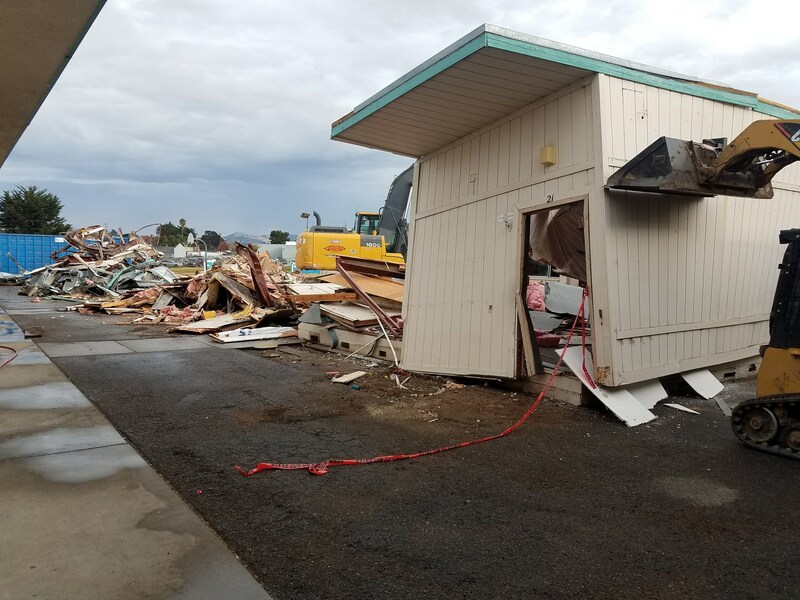 The process of replacing portable classrooms with modular construction has begun at Grover Beach Elementary. 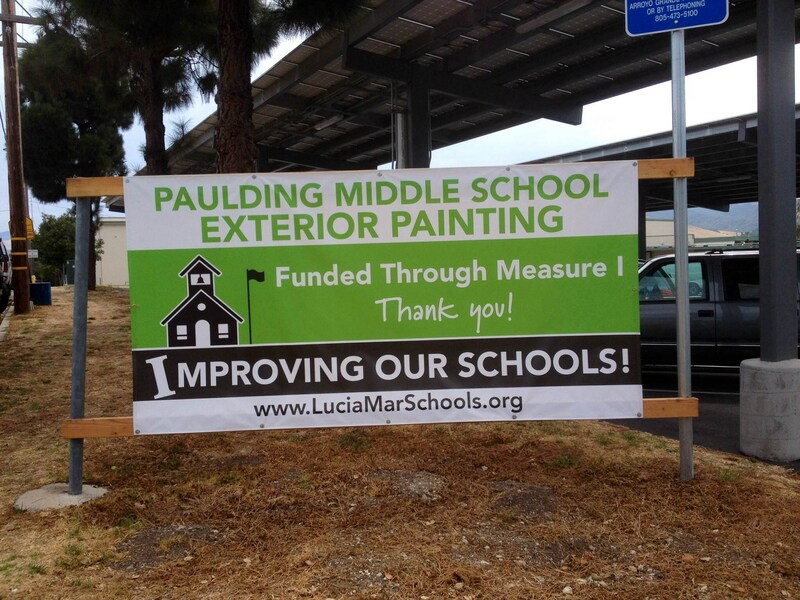 Nearly every school site will go through this process in the coming years, thanks to Measure I’s funding stream. 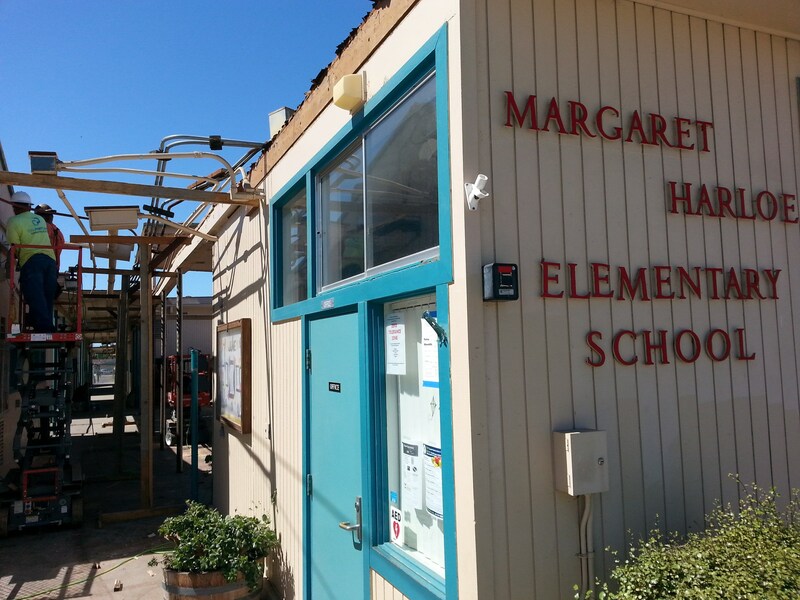 This process will repeat itself as the teachers move into their newly constructed classrooms. 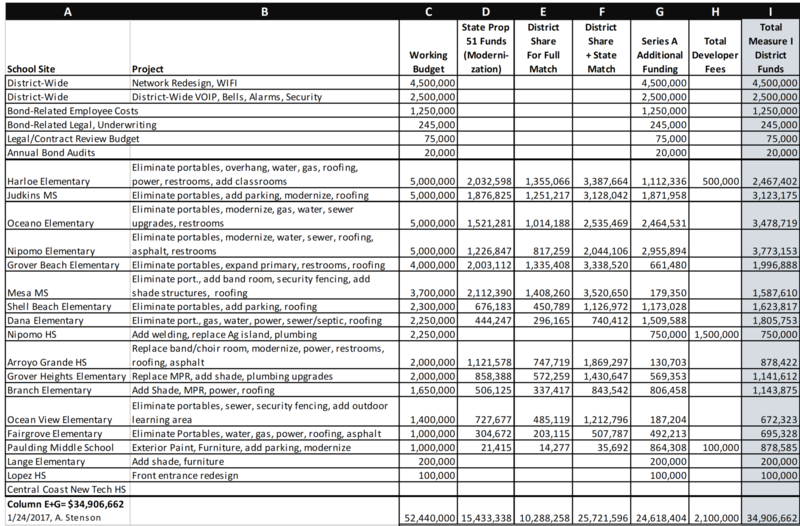 Per contract, teachers will receive either three days of substitute support or the equivalent in pay ($115 x 3) each time they are required to move. We fully understand and appreciate the burden these moves will place on our staff, and are committed to supporting our people to the highest level possible through regular communication and assistance.